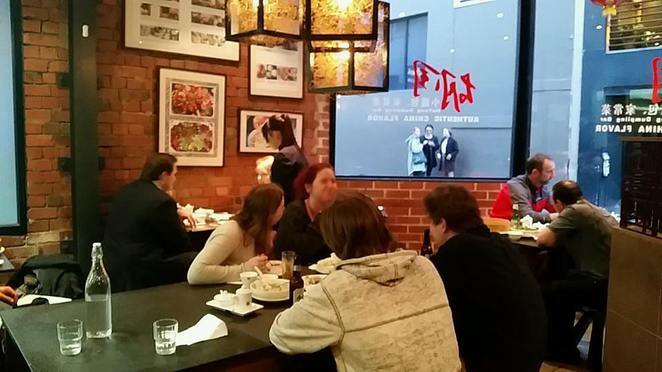 Located at 14-16 Market Lane, Melbourne CBD right across from one of Melbourne's most expensive restaurants, Flower Drum, HuTong Dumpling Bar has long carved out a niche in Melbourne's food scene. Hutong means old laneways or alleyways in China. Thousands of hutongs can be seen around the Forbidden City in China, many of which were built in the ancient times. 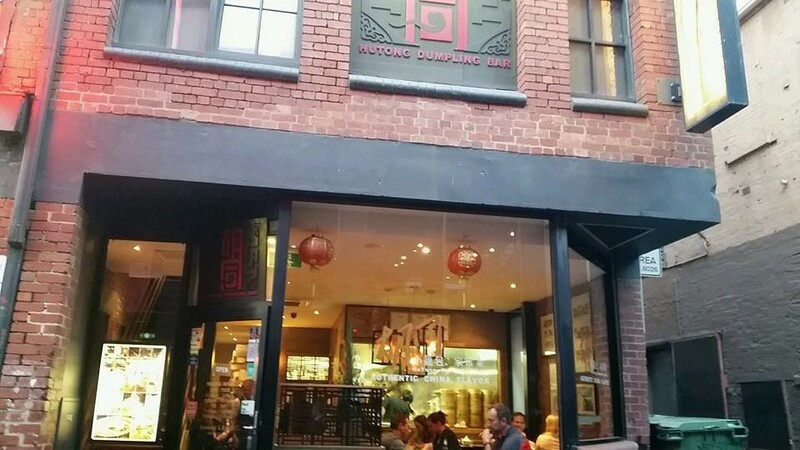 After hearing many rave reviews, it was time for me to taste test HuTong Dumpling Bar. 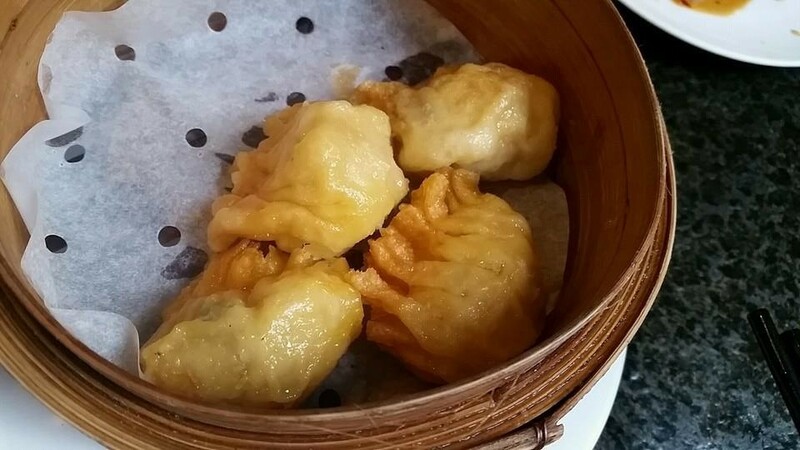 Finding the restaurant was very easy and once my friend and I made our way into the welcoming refuge of the Hutong Dumpling Bar on a clear and crisp evening, I was famished. We were whisked off to a small table next to the window. The small round table was nicely laid with plates, bowls and cutleries. I noted that upstairs seating was also available. 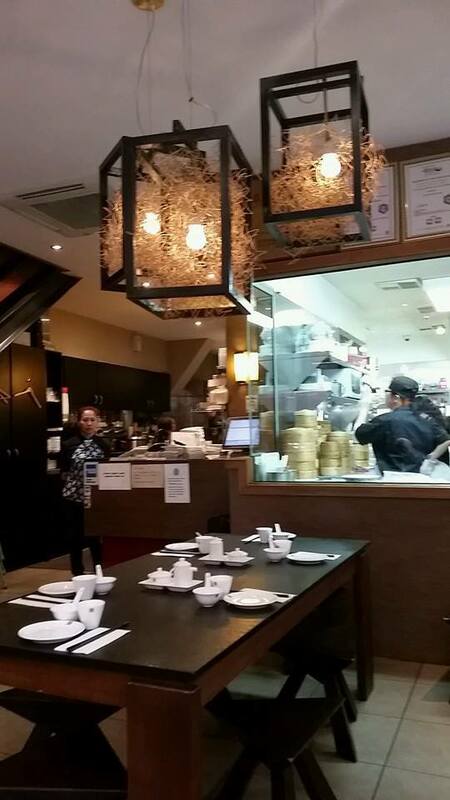 The restaurant had a mellow vibe which was accentuated by wood furnishings and bird's nest style lights. The cosy environment was conducive of conversation and it was satisfying to observe couples, friends and families happily enjoying meals over animated chitchats. The place was quite full on a Monday night which I consider to be a sign of popularity. 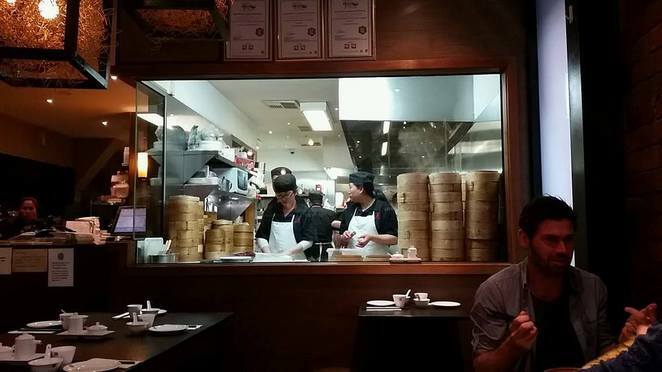 The kitchen with its transparent glass enclosure bestowed upon us first row viewing of live dumpling making action. As the chefs carefully pleated the dumplings and cooked them before our eyes, I could hear my tummy growling with hunger. A smiling waitress promptly handed us the menu which offered the usual favourites along with some exquisite dishes. You can check out the menu by clicking here. The mains were not cheap however, the dumplings were reasonably priced. Our food appeared in quick successions. 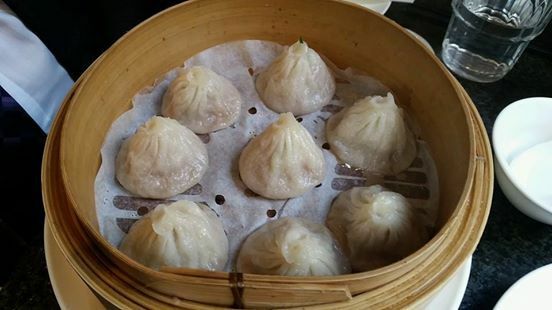 The xiao-long bao (steamed pork dumpling) was the first item to be savoured. Each dumpling was a mini steamed pork bun with wafer thin skin and a juicy pocket of pork inside. Every bite of the wobbly dumplings resulted in small squirts of gingery-sweet broth. I found these dumplings quite delicious. 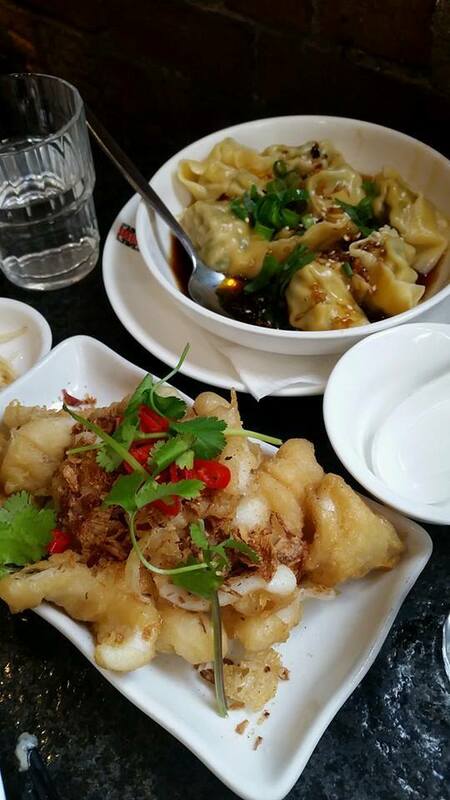 The wonton with chilli oil was definitely a show-stealer. 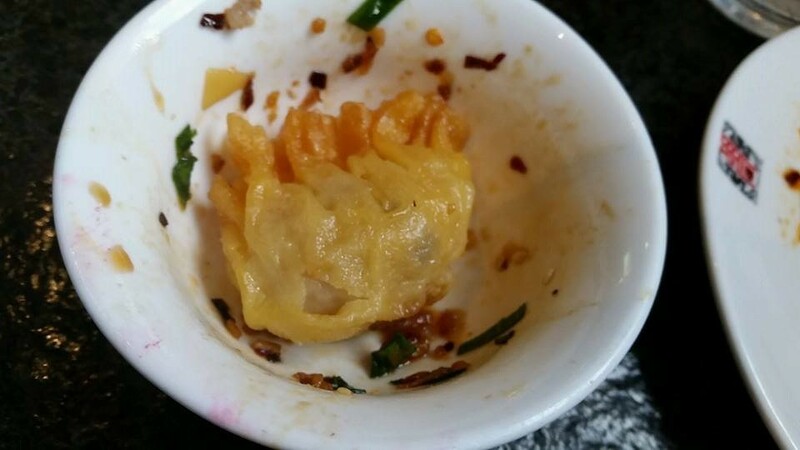 The slippery and soft wonton skin gave way to juicy core. Soaked in the accompanying mild chilli oil, these bite sized wontons were mouthfuls of heaven. Nirvana was totally delivered! I grudgingly shared the wontons with my friend who seemed more than happy to scoop them up eagerly. 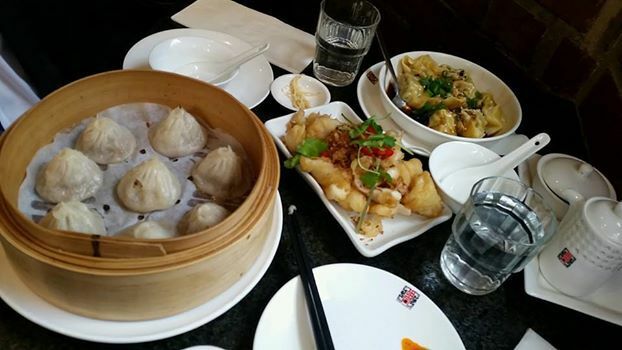 The xiao-long bao paled next to these yummy wontons. When I sampled the salt and pepper squid, I found them to be crunchy and spicy. The caramelised fried onion that came with the squid made the somewhat simple dish quite delectable. Next I turned my mind and chopsticks to the prawn dumplings which had a beautiful, golden-brown hue. The crispy skin delicately peeled away to reveal the fleshy core which was flavoursome albeit dry. I soaked the dumplings in chilli oil and soy sauce which immediately elevated the flavour. If you are like me and enjoy turning up the heat a notch then feel free to ask for extra chili oil, definitely adds to the flavour of the food. The freshly made food was fulsome and flavoursome. The service was attentive and fast. Credit card facilities were available. Bookings can be made over the phone. 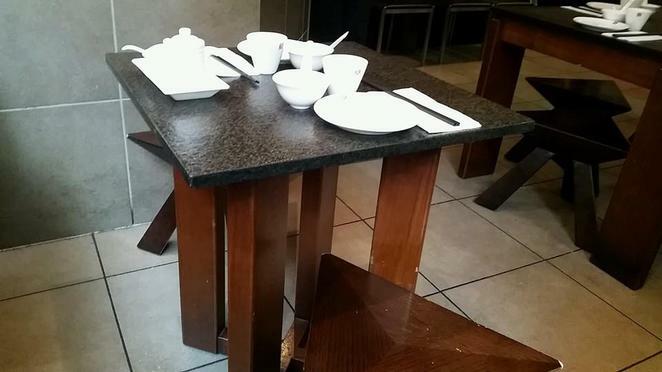 For four dishes shared between two people, the total bill came up to be $42. We were full to the brim and loosened our belts as we unhurriedly made our way to the counter to pay our bill. After the payment of the bill, we slowly walked into the street with a gratified tummy and the wallet still feeling heavy. HuTong Dumpling Bar has another branch at 162 Commercial Road, Prahran.